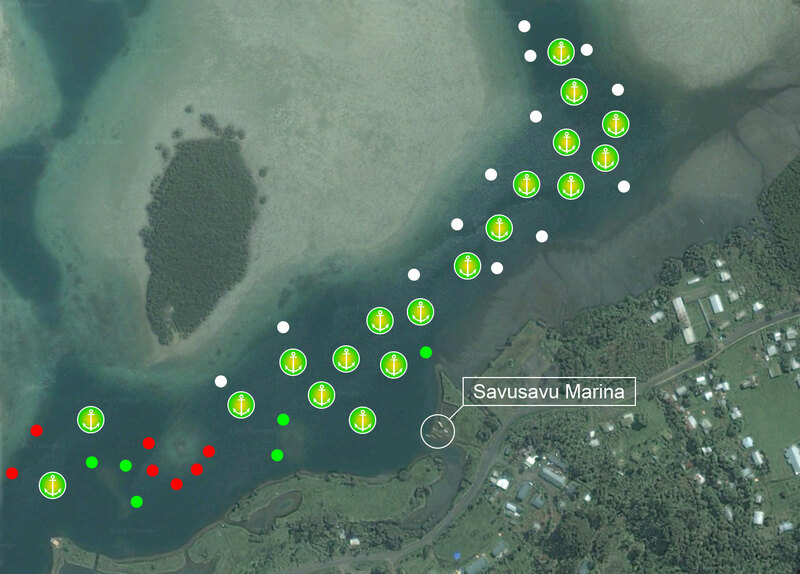 Savusavu Marina specialises in strong cyclone moorings with 3 spiral pins per mooring as shown in the mooring diagram below and is further protected by a reef from the north and a ‘dog leg’ passage* reef from the west. It is increasingly popular as a base to keep yachts through the cyclone season without the necessity of sailing out each year or leaving them while they go away. 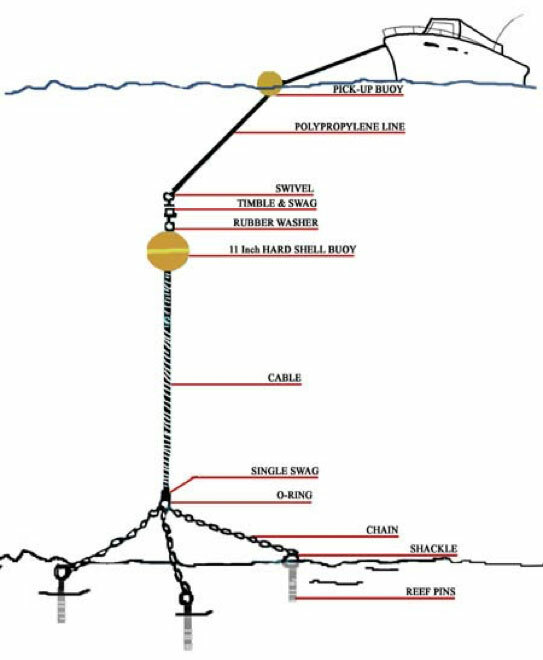 Seaflix quote their product as having a ‘breakout’ force of 2,800+ pounds which is much higher than traditional moorings. 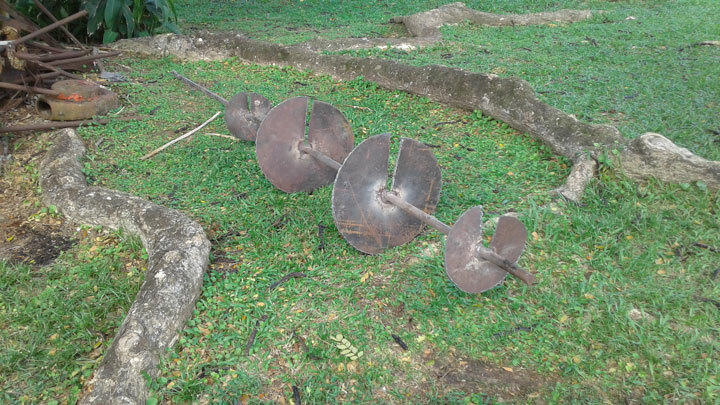 Savusavu Marina has three (3) helicoils per mooring and have been substantially upgraded in length and weight. 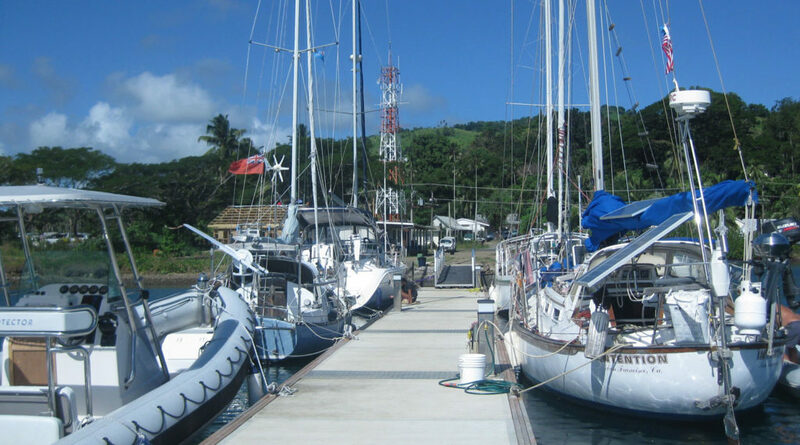 Savusavu Yacht Services – Contact Ezra Fiji Marine captain and PADI dive instructor +6798386023 – all care of yachts, hull & boat cleaning, boat sitting, boat checking.